Autism is the fastest-growing serious neurodevelopmental disorder in the United States. Autism currently affects approximately one in 59 children and boys are 4 times more likely to be diagnosed than girls (1 in 37 versus 1 in 151). An estimated 3.5 million individuals in the United States and tens of millions worldwide are affected by autism. None of these two people with autism are the same. People with this disorder handle information in their brain differently than other people. Autism affects each person in a different way. Typically, those with autism share similar symptoms, such as problems with social interaction; there are differences when the symptoms start, how severe they are and the exact nature of the symptoms. Autism is a lifelong disability characterized by severe defects in communication, socialization and repetitive and restricted behaviors interfering with education and functioning in society. 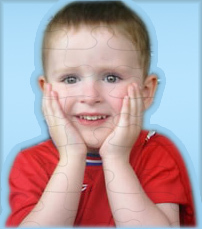 Each individual will display communication, social, and behavioral patterns that are unique but fit into the overall diagnosis of autism. Those with autism will often have unusual responses to sensory experiences, such as certain sounds or the way objects look. Symptoms also include problems with verbal and nonverbal communication as well as difficulties with repetitive behaviors or narrow, obsessive interests. These behaviors can range in impact from mild to severe and present in each individual with autism differently. Autism varies widely in its severity and symptoms that manifest in the individual. Scientists have not yet determined what causes this disorder.